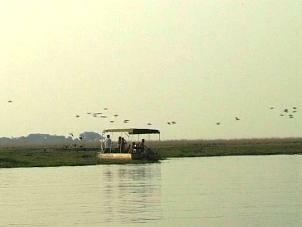 Chobe is famous for its countless herds of elephant and buffalo. 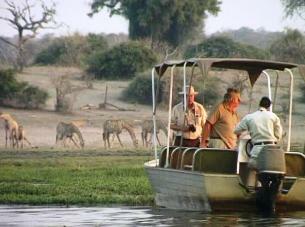 In the woodlands, visitors can see kudu, Chobe bushbuck, sable antelope and zebra. Giraffe browse the crown of acacia trees, while cheetah, leopard and lion are often seen. 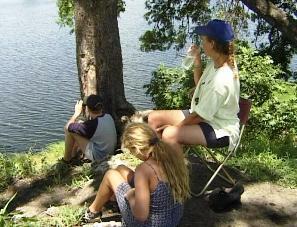 More than 250 bird species inhabits the park. Fishing conditions for barbell, bream and tiger fish are superb. 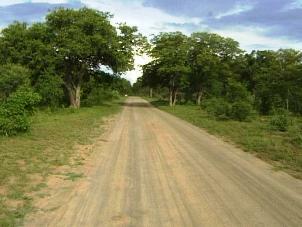 Most of the roads in the Chobe Riverfront area are in very good condition and can be negotiated with an ordinary sedan. It is possible to observe game from your campsite as they move daily from the forest to the riverbed to quench their thirst. Large numbers of breeding elephant herds make a spectacular view. Warthog has made the campsite its home. Uninterested in human presence, they will carry on with their daily activities - gathering food, nursing their young, and playing around. Never approach them. They still remain wild and could be very dangerous. Lion frequently visit the campsite. They won't harm you if you stay at your campsite and not wander around after dark. Always keep your tent zipped up and never sleep outside. 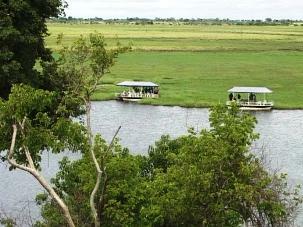 Due to the large concentration of game, the Chobe River Area is a paradise for predators. The Chobe lion is a good example thereof. Most of the lodges in and around Kasane offers game viewing excursions on power boats and barges on the Chobe river, allowing you to come close to the animals. This could be very exciting and most rewarding for the keen photographer. Late afternoon cruises are available to allow you to savor the sunset with an ice cold sundowner amongst hippo and elephant. 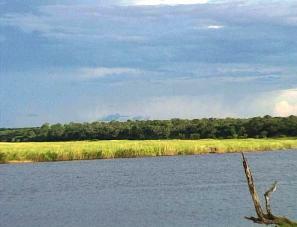 This, the western part of Chobe National Park is partly situated in the dead lake bed of Mababe. A few rocky hills rise above the plains. 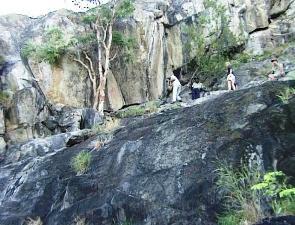 One of these hills, Gobabis, has a number of small rock art sites along its eastern face. Savuti is characterised by the lush plains of the Savuti Marsh, where large herds of zebra concentrate during the wet months. 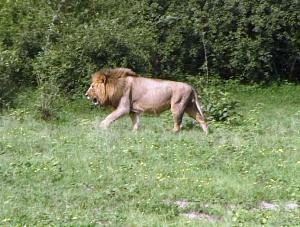 Savuti is also famous for its prides of lion. Here survival is of the essence, as lion and hyena compete for food. Since the Savuti Channel has dried up, artificial water holes have been set up where large herds of game, especially lone elephant bulls, concentrate during the dry months. During these dry months the elephant cows with their calves migrate to the Linyanti and Chobe rivers. 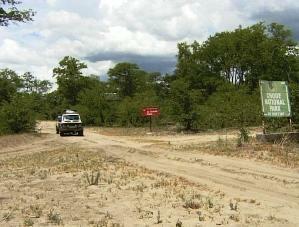 Linyanti is only 40 km from Savuti but could take a couple of hours to reach as the road is very sandy at some places. 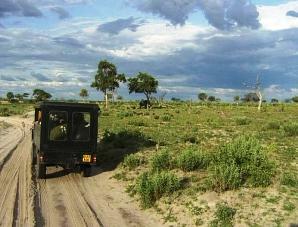 Because of these long stretches of heavy sand that must be negotiated, Linyanti is the least visited area of Chobe. 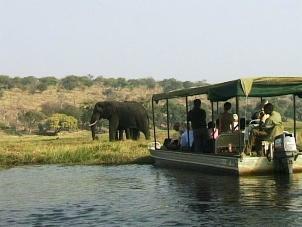 Chobe Reserve is that it only offers about 7 km of riverfront drive for game viewers. But for those who want to get away from it all, Linyanti offers you quietness and tranquillity. 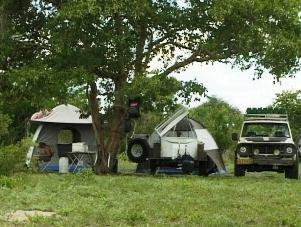 What makes this trip especially worthwhile is the beauty of the woodland and the Linyanti Swamp where the public campsite is set on the river bank. 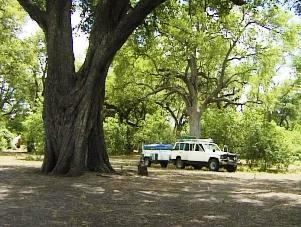 The shady public camp is set on the bank of the Linyanti river. 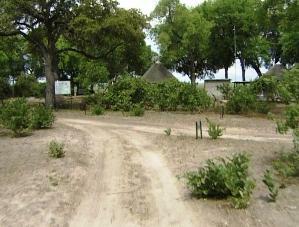 There are only 3 campsites with good ablution facilities and running water. Occasionally the silence is disturbed by a military vehicle passing by at high speed, as Botswana is in a state of war with poachers who cross the Linyanti into Botswana from the Caprivi in Namibia. 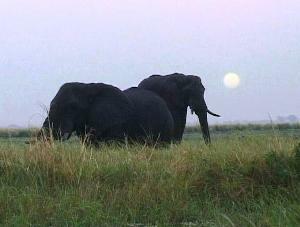 Botswana has one of the highest success rates against poaching in Africa.